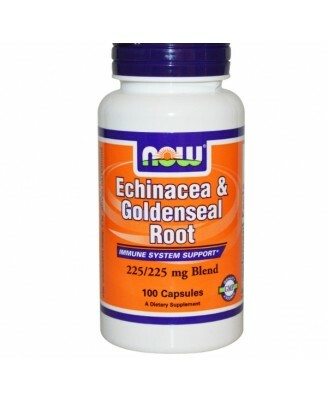 Echinacea is also known as Purple Coneflower, and can be used to make tea or taken in capsule form. 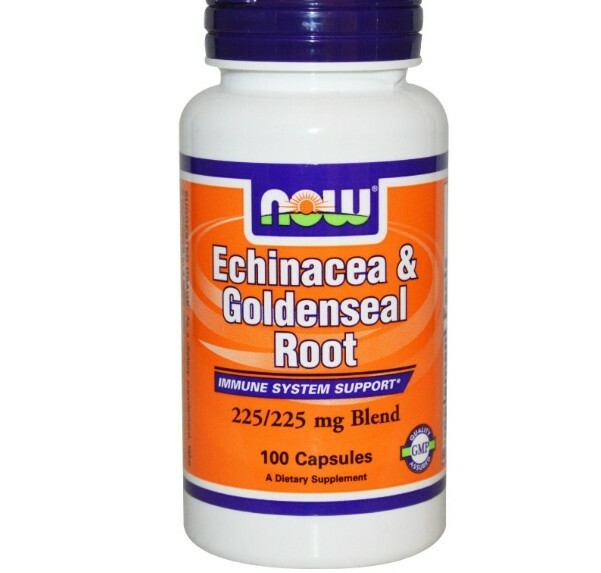 Goldenseal Root is wildcrafted in the U.S. Midwest and is one of the most popular herbs available today. Gelatin (capsule) and stearic acid (vegetable source).Not manufactured with yeast, wheat, gluten, soy, milk, egg, fish, shellfish or tree nut ingredients. Produced in a GMP facility that processes other ingredients containing these allergens. 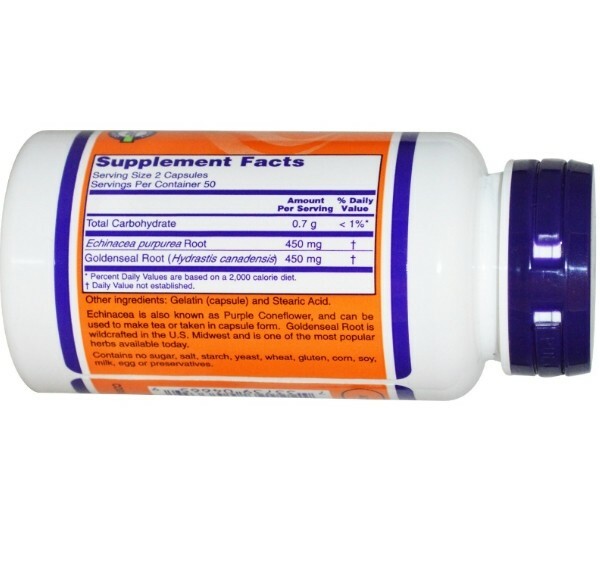 As a dietary supplement, take 2 capsules 2 to 4 times daily. Take 2 capsules daily as needed.Continuous high level consumption of this product for more than 2 weeks of each month is not recommended. , Caution: For adults only. Consult physician if pregnant/nursing, taking medication, or have a medical condition (including conditions affecting the immune system and allergy to plants from the Asteracea family). Keep out of reach of children.Natural color variation may occur in this product.Do not eat freshness packet. Keep in bottle.Store in a cool, dry place after opening.